Moving to a new office space can be an exciting time for a business, with a new environment and a fresh start to look forward to. However, it’s not as simple as getting everyone to pack up their belongings at the end of a Friday afternoon before turning up with them at the new place on the Monday morning. Vacating a commercial space brings with it a certain degree of responsibility, particularly when it comes to cleaning. All commercial tenancy agreements will differ slightly, but it’s likely that your company will be responsible for at least some of the cleaning before a new tenant moves in. Even if your office is relatively small and based over just one floor, this can be a big task, with many larger companies needing to call in a professional end of tenancy cleaning service to help them to get the job done. If you’re taking on the job yourself, it can be hard to know where to start, which is why we’ve put together this comprehensive end of tenancy cleaning guide. Before you begin making your way through this list, delegate tasks to specific people and make sure you’re not spending your valuable time and resources on jobs that aren’t outlined as your responsibility in the tenancy agreement. People’s desks are likely to be some of the messiest, and dirtiest, parts of the entire office. If you’ve been in the same office for several years, it’s likely that workers will be hoarding piles of paper relating to projects that were completed ages ago, stationery items that have long since ceased to work and various bits of cable that no one knows the function of, but are being kept ‘just in case’. An office move is the perfect time for a clear-out. Let everyone know that they are responsible for cleaning their own desk and set up designated recycling points for unwanted paper. If paper features confidential information, it will need to be disposed of a little differently, but we’ll come to that in the next section of this guide. One idea would be to provide everyone with a small cardboard box that they can label with their name and fill with the items they would like to take to the new office. This should encourage people to get rid of rubbish and decide what they really need. Test any cables, keyboards or computer mice that are lying around to see if they work, and if they don’t, arrange for them to be collected by a local technology recycling firm, who will make sure they are disposed of in the correct way. Ask everyone to wipe down their desks with an anti-bacterial cleaner too before you leave the office. If you’re taking the desks with you, this will help to make sure you’re not carrying a load of dust to your new premises, while if you’re leaving them behind it will help make sure you’re leaving the furniture exactly as you would like to find it yourselves. Many businesses now use the cloud for all of their file storage, meaning sensitive information is safely stored digitally and there are no confidential customer or client details lying around the office. However, if your company is yet to make the move to a paperless workplace and regularly prints out sensitive information, you’ll need to ensure this is either securely transported to your new office or disposed of in the appropriate manner before you move. Ask employees to stack any sensitive paperwork they may have in one place, then make sure it is shredded so that confidential details can no longer be seen. The paper should then be recycled, but any envelopes or items that have a coating will need to go in with the rest of the normal rubbish as they are not suitable for recycling. Once desks and paperwork have been dealt with, cleaning the rest of the office should be fairly straightforward. If it’s a carpeted space, a thorough vacuum will be needed and if there are any stains on the carpet, you’ll either need to purchase a specially-designed cleaning product or make one yourself out of natural ingredients. A solution made from white vinegar, lemon juice and baking soda will create a natural abrasive. Apply it to a stain, leave for a few moments and then wipe away. If the stain is still visible, repeat the process. If your office space has wooden flooring, it will need to be swept and mopped before you leave the premises. Only do this after the office is empty of all items, otherwise you’ll be dragging dust and items that could leave marks over the clean space, meaning you’ll need to start again. You might also want to consider getting a wooden floor polished before you leave, especially if you’re looking to make a particularly good impression with the company you lease the space from. If your office has a kitchen area, it’s highly likely that this will be in need of a long overdue deep-clean before you vacate. 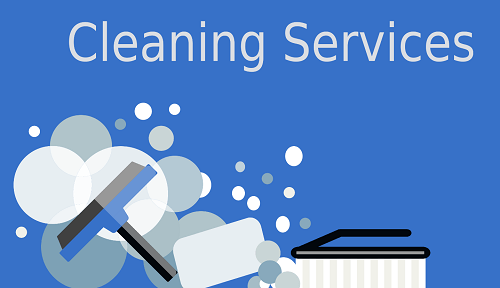 Everyone in your workforce will have different standards when it comes to cleanliness. While some members of staff will always make sure surfaces are wiped down and their crockery is neatly stacked in the dishwasher after it has been used, others will leave trails of crumbs and dirty cutlery in their wake. Therefore, you need to make sure everyone is aware of the standard of cleanliness you expect when it comes to tackling the kitchen. Work surfaces and cupboards need to be wiped thoroughly and it would be a good idea to place a slice of lemon on cupboard shelves to provide them with a fresh, natural scent. 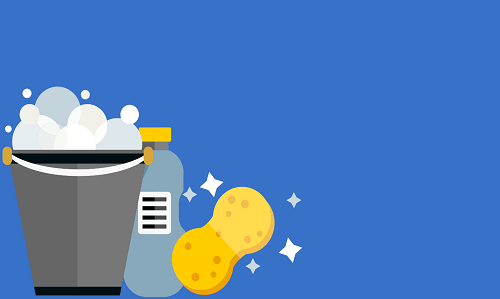 Empty the fridge, make sure any out-of-date items are disposed of and allow people to collect anything they want to keep, then clean it out thoroughly and repeat the lemon trick. Ensure that the dishwasher filter is empty of bits of food and put it on an empty cycle to wash it out thoroughly. Turn the toaster upside down to get rid of crumbs and if it’s in a particularly bad state and doesn’t belong to you, consider replacing it so that the next tenants don’t get a bad view of your company. Do the same with the kettle. 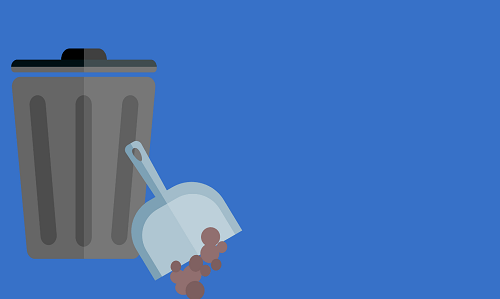 Lastly, make sure the kitchen floor is swept and mopped and that all rubbish is taken to the right disposal or recycling area. We know that taking on the task of end-of-tenancy cleaning yourself is a big responsibility, which is why we employ professional cleaners who can take part of the job on for you. At FastKlean, our commercial cleaning specialists will take on cleaning duties in an office of any size, mopping, dusting, vacuuming, sanitising and even deodorising the space to make sure it is left in the best possible state before the new tenants move in. Our teams are also highly experienced in end-of-tenancy cleaning for domestic environments, so we completely understand the importance of leaving a space looking spotless ready for the next lot of tenants. Contact the FastKlean team today to find out more about how we can help you to clean at the end of your commercial tenancy.